Using balls and balloons can be a wonderful way to teach your students new concepts or to help them review lessons. 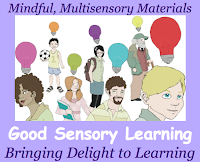 What's more, kinesthetic and tactile learners will be accommodated and engaged, and it brings the fun factor into your classroom! I often purchase bags of balloons, foam balls and beach balls at the dollar store, and with the use of colorful permanent markers I can transform them into hands on learning tools for decoding skills, writing, math, grammar and more. As an assignment, you can even pass out balloons and permanent markers and ask your students to invent their own games to help them learn. Place the parts of speech on a ball or balloon. When the student catches it, they have to give a word that illustrates that part of speech. Write difficult multiplication facts on the ball or balloon and pass it back and forth to practice the times tables. Record numbers and the touch math symbols on a ball or balloon and practice adding, subtracting or skip counting. 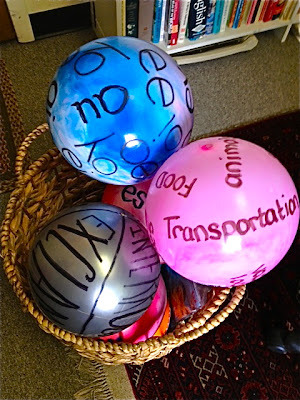 Place letters, digraphs or diphthongs on a ball or balloon and practice the sounds or have your students think of a word that begins or ends with that sound. 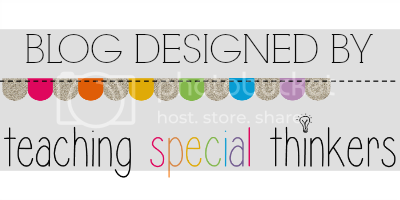 Place main ideas on a ball or balloon and have your students come up with the details. If you would like to purchase ready made balls on Amazon, click on the images below. If you use balls or balloons for other lessons, please share your ideas.